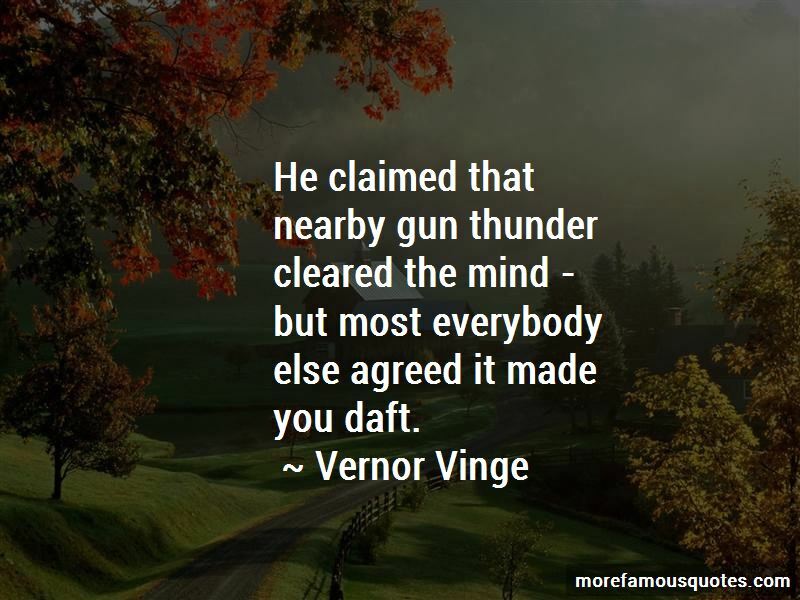 Enjoy the top 74 famous quotes, sayings and quotations by Vernor Vinge. Here we begin frank speculation. And since we are speculating, we'll use those powerful pseudo-laws, the Principles of Mediocrity and Minimal Assumption. Enormous cemeteries existed among sedentary civilizations, where the weight of the past grew larger than any present time. They had been at the center of something vast, but as usual with the affairs of the Powers, no one knew quite what had happened, nor the result of the strivings. 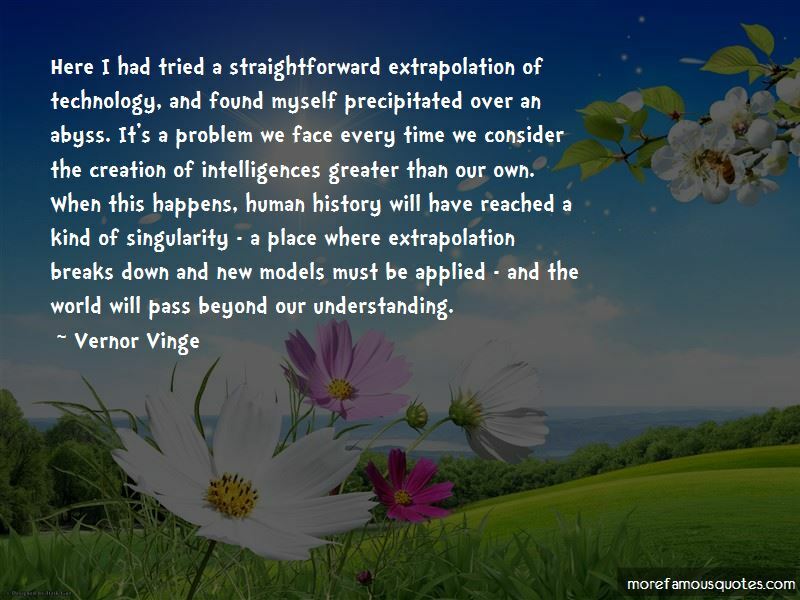 Though his invention worked superbly [ ... ] his theory was a crock of sewage from beginning to end. rebuilding what had been merely superhuman. Poor humans; they will all die. ""Poor us; we will not. All his life he had lived by the law. Often his job had been to stop acts of revenge ... And now revenge was all that life had left for him. 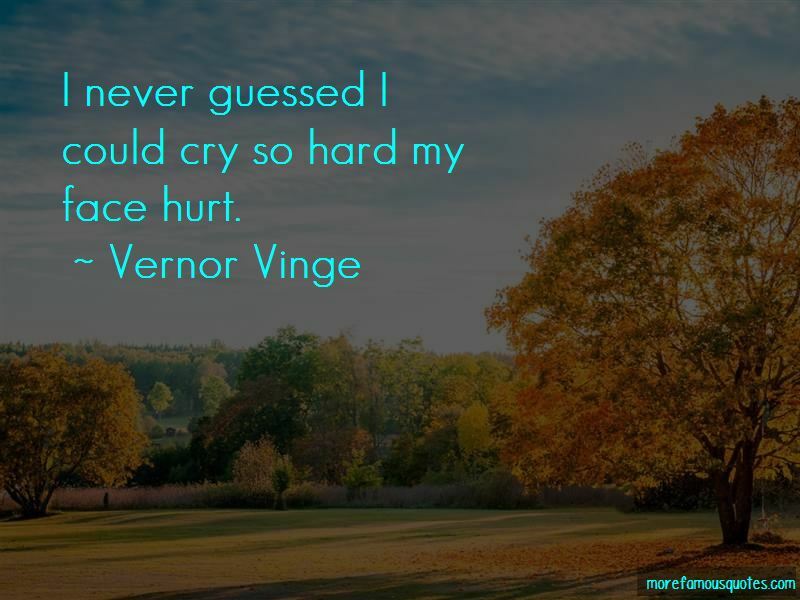 Want to see more pictures of Vernor Vinge quotes? 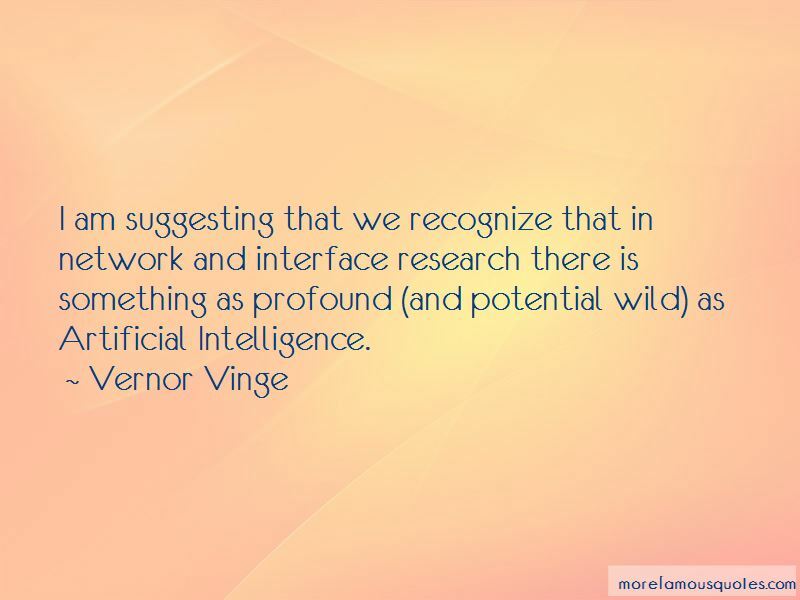 Click on image of Vernor Vinge quotes to view full size.